Let me start by first stating that this movie has great images and videos, The Climate Reality Project powerpoint is amazing and I wish I were part of this program to have more tools to convince people, businesses and communities to act on climate change. The movie is also a great showcase of the tragedies and the massive destruction brought upon us globally by global warming temperatures. Whether in the US or around the world, rising sea levels, extreme weather events such as tornadoes, droughts and so on are increasingly unpredictable and destructive. Climate change is getting very scary these days. Even the Emerald City – Seattle, WA – was for two weeks under a blanket of smog due to fires in neighboring British Columbia. We did not have any rain for two months… The Death Valley had the hottest month ever measured on Earth, with a boiling hot 107.39 F (41.8 Celsius…). Meanwhile, on the other side of the US, New Orleans have once again seen massive flash floods. 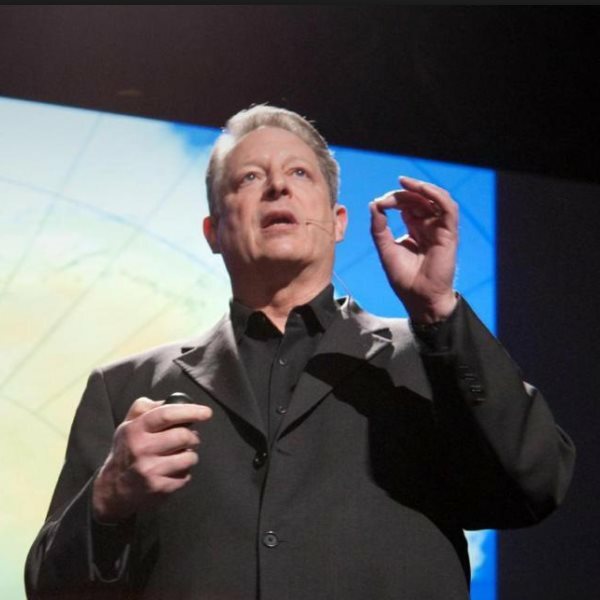 It is easy to despair, even more for Mr Gore who has been advocating climate change action since the 1970s. Wikipedia states that he held the “first congressional hearings on the climate change, and co-sponsor[ed] hearings on toxic waste and global warming.” in 1976 !! For this, I believe Al Gore is an environmental hero. However, I am just not sure this movie, like the previous one, will turn climate change deniers into “believers”. It might just do the opposite as Grist points out. I believe that, in the United States, the debate whether our global climate is warming or not is moot. Some people will still believe the Earth is flat even if they were brought to space. Same things for climate change deniers: they will still believe it is hoax after their house has been flooded or burned to the ground… However, these people believe in their wallets and what is in them. This is why we need to make renewables even cheaper. Preaching to the choir, while interesting, is not – in my humble opinion – what we need anymore. Likewise, the movie is centered on switching the world to solar and wind. No mention to the many other solutions such as geothermal, marine energies, biogas, waste to energy… While forgoing coal and natural gas for solar and wind is indeed a much necessary action to take, it is not the panacea or the end of our problems. Climate change is not limited in any way to the energy we consume. The food we consume, the way we shelter ourselves, we transport ourselves and so on are also important topics to tackle. An Inconvenient Sequel points out that now, wind, solar and batteries are now cheaper than coal and gas. One of the most fascinating parts of the movie was how Georgetown, a 50,000-inhabitant city of Texas went 100% renewables. Not for the safekeeping of our planet, not after the mayor read Treehugger, but to save money. This is as simple as it is. It is focusing on the negotiations that led to the Paris Agreement. But, I humbly believe, especially after reading books like Climate Of Hope that the best approach against climate change is not top-down (governments leading) but bottom-up, with businesses, communities and citizens leading. To conclude, if you are working in sustainability, or on “saving the planet or helping businesses save money by going green, go and see it, My friends ended up hopeful after seeing it. If you are just a citizen wanting to keep up to date with the environmental news, go see it as well, it may bring you a much needed sense of urgency of action.